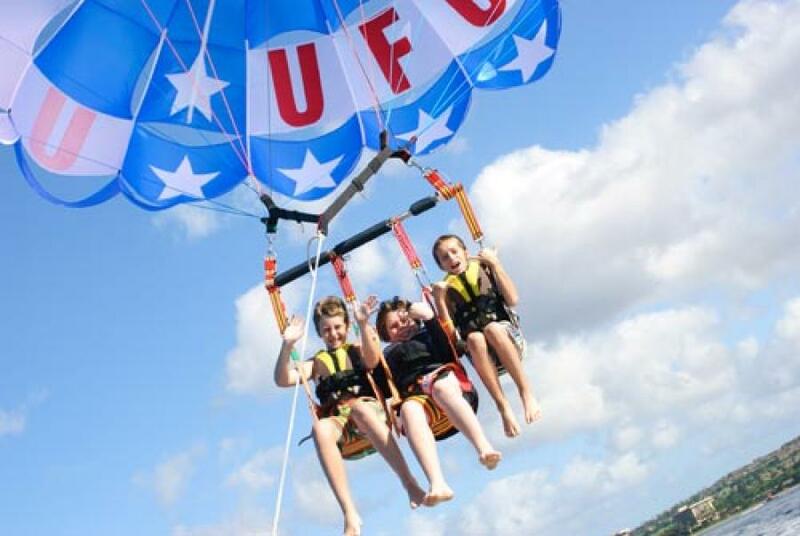 Parasailing on Maui resumes May 16. Parasailing on the Big Island is offered year ’round. When it is your turn, we’ll secure you to the harness and winch you out – either alone, tandem, or even 3 at a time – it’s your choice. 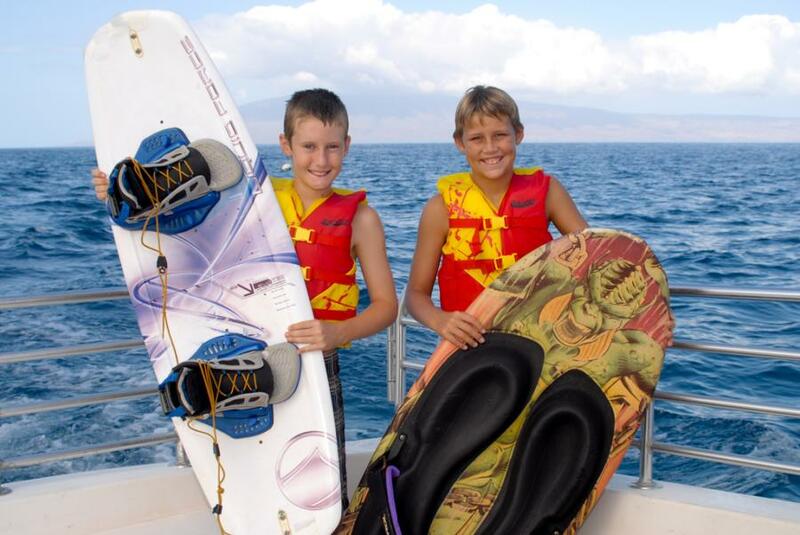 Take-offs and landings are completely dry and totally safe for all ages and skill levels. 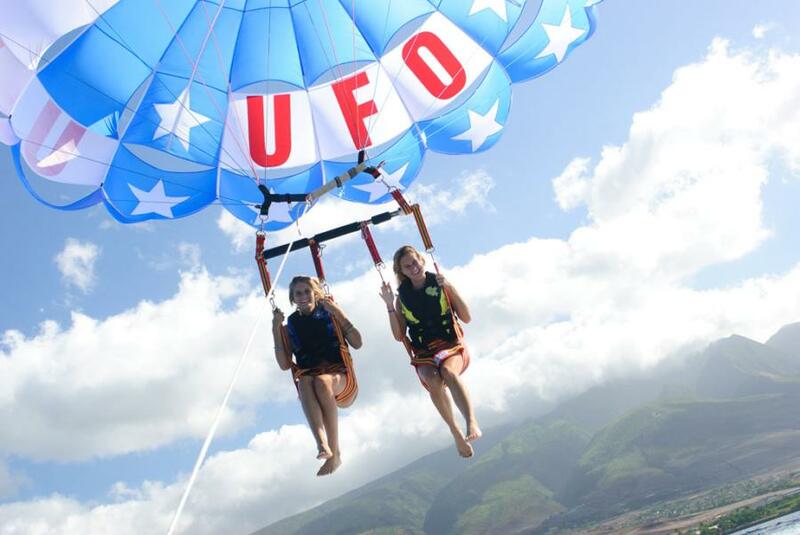 Parasailing is operated seasonally on Maui from May 16th through December 14th. During this period we offer flights throughout the day sometimes starting as early as 8:00 am, but typically beginning around 9:00 am. 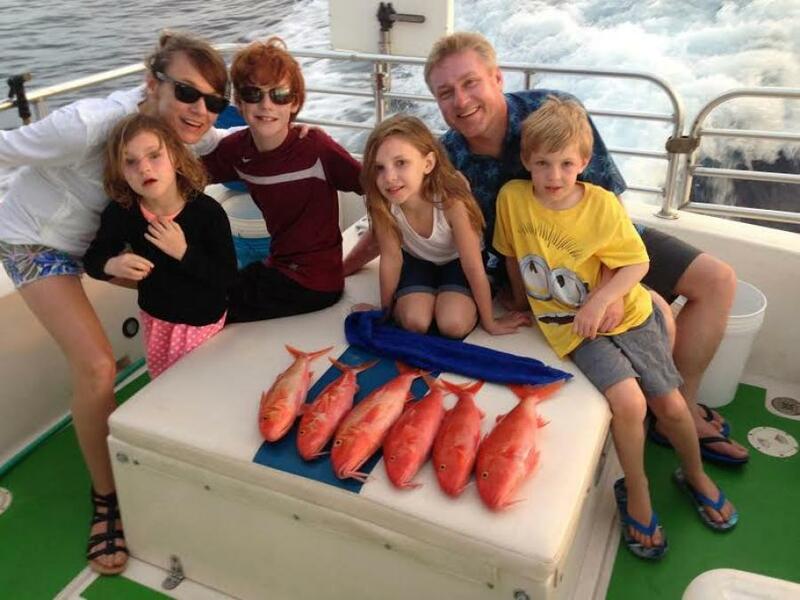 We occasionally add more trips during busy periods. Please phone us for additional times not displayed on our website. Call toll free: 1-800-359-4836. 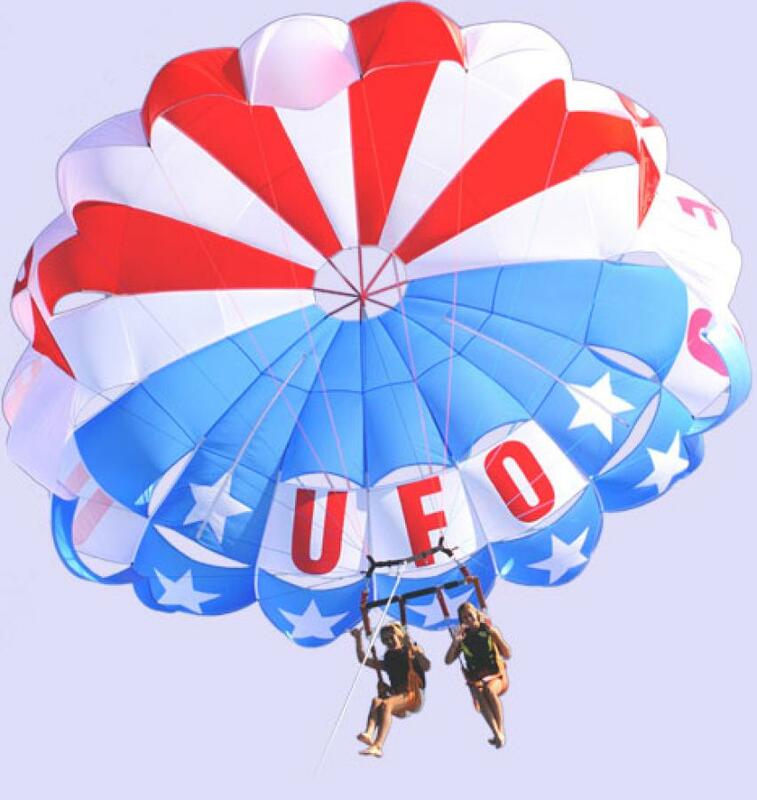 We also provide parasailing on the Big Island. Weight restrictions: Minimum weight to fly alone is 130lbs; Maximum weight to fly tandem or triple is 450lbs. Weight restrictions may be increased or decreased by the captain, depending on wind or sea conditions, on that date. Please note that refunds are not issued based on your preference to fly alone, tandem, or triple. 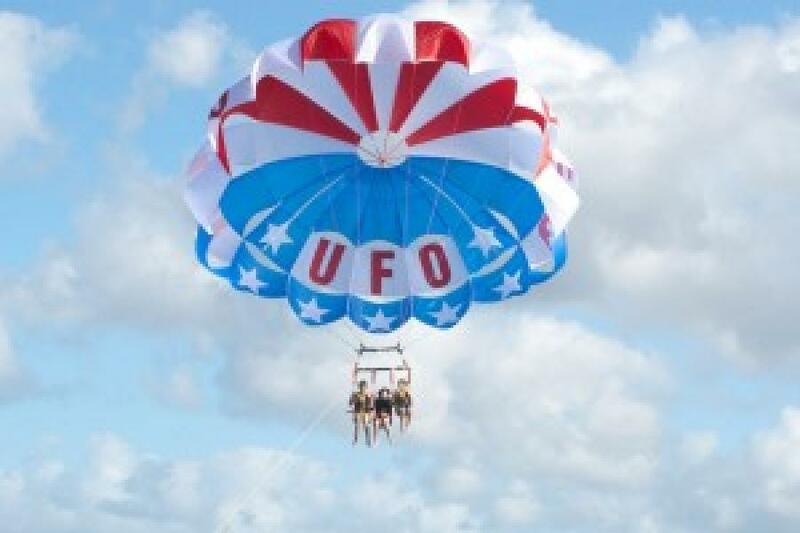 Participants must be willing to parasail at the captain's discretion for safety. 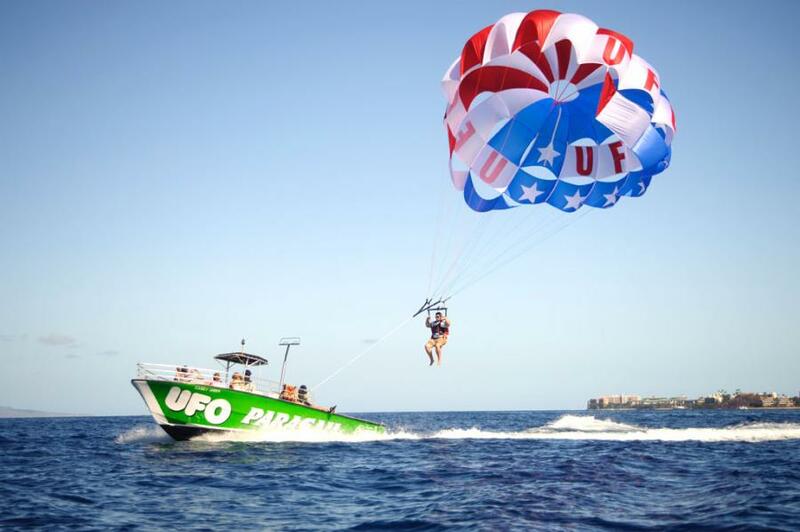 Physical Restrictions: Participants must be able to walk through the sand, board a shuttle boat and transfer to the parasail vessel with minimal or no assistance. The boats are not wheelchair accessible.